The war of words over Virgin's axing of UKTV channels has intensified. In the biggest carriage dispute since Sky channels were removed from Virgin a decade ago in a 20 month stand-off, Virgin says its ready to restore UKTV's Freeview channels to customers, immediately with UKTV's permission. The channels were cut from Virgin TV at just after midnight on Sunday. UKTV operates ten channels, plus HD and +1 variants. These include five Freeview channels, such as Dave and Drama and five pay TV channels including Gold, W and alibi. After talks between the two sides broke down earlier this month, Virgin claims UKTV is withholding its Freeview channels from the platform. “We are as disappointed as our customers that we have had to replace UKTV’s channels. 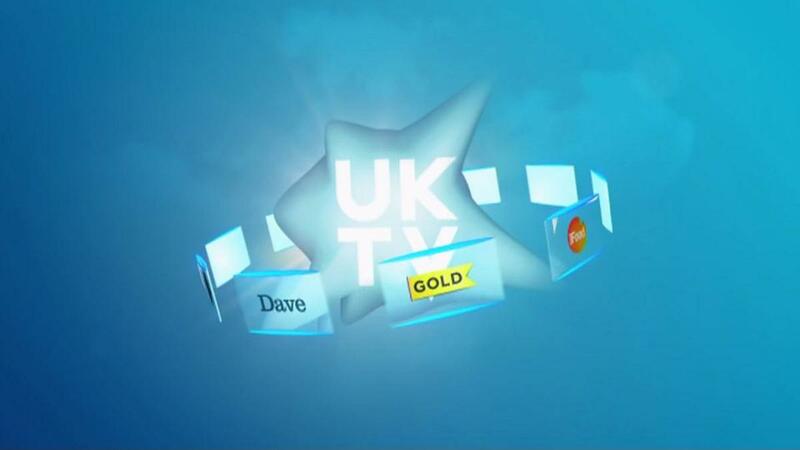 To be clear: we are ready to restore UKTV’s free channels for our customers immediately with UKTV’s permission. We have been in extensive discussions with UKTV but we have not been able to reach an agreement which reflects the reality of how people are watching television in the 21st Century. “UKTV is insisting on holding back its channels, like Dave, which are freely available over the air and online, unless we pay inflated sums of money for its paid channels like Gold. On top of this, UKTV is unable to provide the extensive on-demand programming which is expected of a modern day broadcaster." UKTV has responded saying they did not want to give away their free channels to Virgin, especially as Virgin weren't going to make them available to customers for free. The broadcaster was annoyed that the argument being used by Virgin ignored those viewers who wanted to watch UKTV's pay channels. "We can’t give Virgin our channels for free, we don’t with anyone else - & you’re not offering them to customers for free. Apologies to customers of Gold, Alibi and W who are being ignored. You can find these channels on Sky, BT and TalkTalk." Virgin responded that they were making significant investment in their TV service, pointing a raft of new channels that were added on Saturday in the run up to UKTV channels being removed. The cable company's press office got in touch with a516digital to clarify that it had "invested in an extensive collection of new and high-quality programming for our customers to enjoy (depending on the TV bundle taken). This includes the Paramount Network in HD with shows like Suits and Designated Survivor; YourTV, a new channel which is home to Castle, Bones and Body of Proof; Love Nature, which is exclusive to Virgin TV and has some stunning nature programmes such as Africa’s Wildest Horizon’s and Great Wild Blue; IQTV, which contains some of best quiz shows like Mastermind and The Weakest Link; and numerous new box sets such as Shades of Blue, Supergirl and Madam Secretary." But viewers took to social media to comment that some of the new channels that had been added to their subscription were actually free-to-air channels that has thus far been excluded from Virgin's TV service. Music channel Now 80s, available to around 3/4 of UK households via Freeview since earlier this summer, was one of the new channels that joined the cable service this weekend. Virgin also became the first platform to offer both Quest and Paramount Network in HD this weekend. And it was working on offering more 4K/UHD content for subscribers. It was also offering free access to Premier Sports for two months. Additionally, it was making Lifetime and True Entertainment available to more of its viewers at no extra cost - although social media users noted True Entertainment is free-to-air elsewhere. Channel slots previously allocated to UKTV services had been reallocated to new and existing services to showcase some of the other content available on Virgin Media, meaning some channels are duplicated on Virgin's TV guide. Virgin Media Ireland meanwhile justified the disappearance of UKTV channels by claiming that the channels had low viewing figures. A snap poll by a516digital on Twitter indicated the majority of readers thought Virgin Media was to main party to blame in the current dispute.